I have been trying to learn how to arrange flowers at home for a while now. 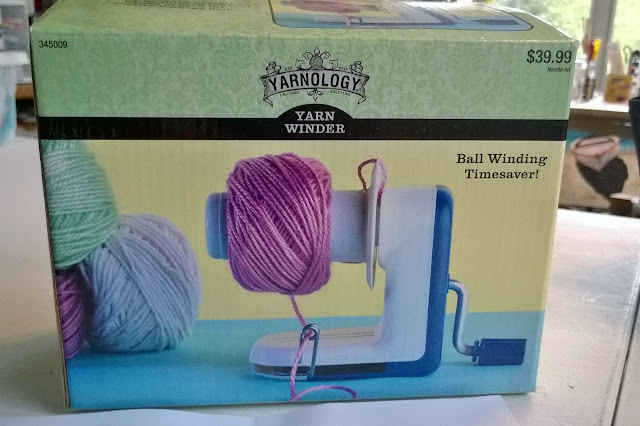 I have even considered having an instructor from a local florist shop come teach my group of Crafty Ladies, but no luck. I have been quoted high prices, or been told they have done it once and will never teach again. My mind was set, I wanted to learn how a stay-at-home mom could buy a dozen flowers from their favorite grocery and make them look impressive. I went to where I know to look first, the library. 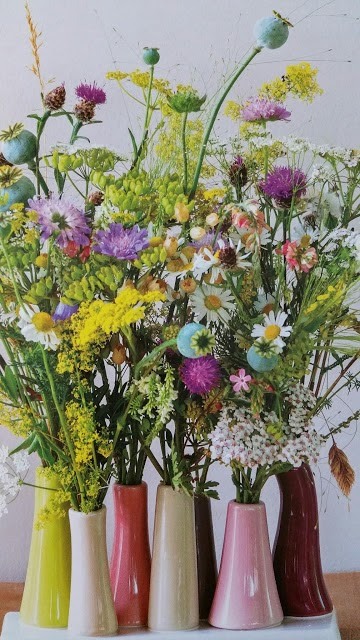 The Art of Flower Arranging was not the first book I looked at in my search, but it will be the last! Paula Pryke OBE has done an excellent job with this book. 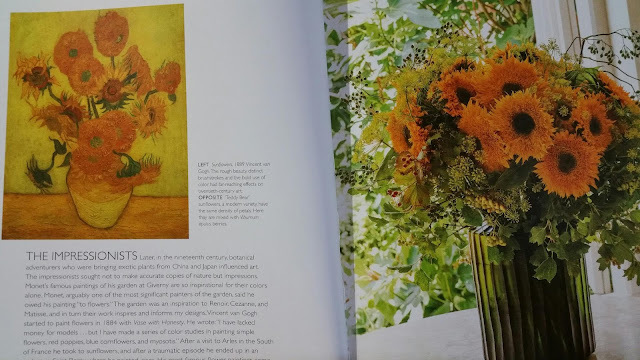 The organization is perfect, the pictures attractive and quite honestly, if you learn everything in this book, you may have a degree in flower arranging :) . 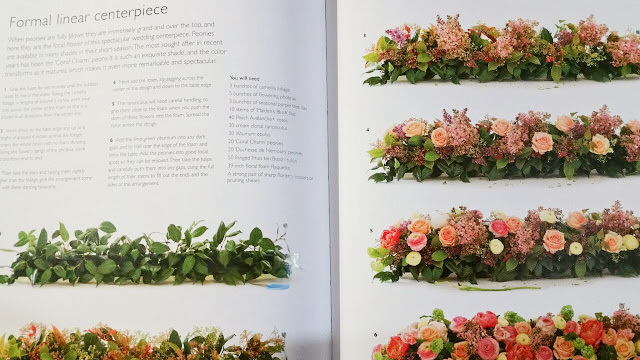 She starts the book with ideas on where to get inspiration for your next floral project. She includes ideas like the seasons, trends, or famous art & design, to name a few. She touches on elements of design; shape, style, color, etc. and then gives tutorials on how to make the most beautiful arrangements. I honestly can't say that I don't like any of her arrangements in this book, even the ones that are not "my favorite", I can still appreciate. Flower Arrangement inspired by famous artwork. 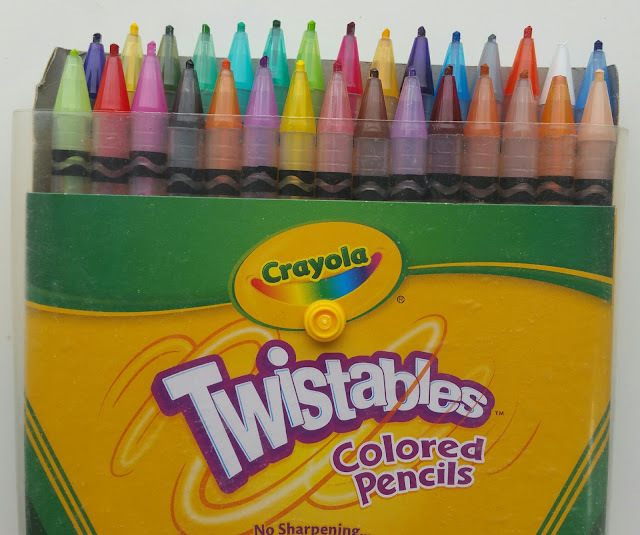 My favorite part of this book has to be the Core Paletes section. For someone who knows only a few flowers, these palettes are indispensable. Paula beautifully graphs out different options of flowers (along with their names) for each color followed by stunning monochrome arrangements. I spent hours looking at these trying to memorize the different flowers in God's creation. Just mesmerizing! The peach to brown palette, page 102. 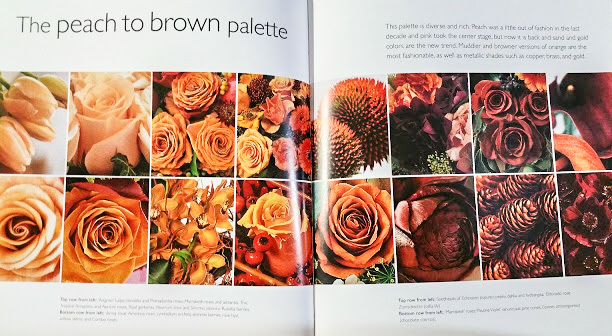 About half of the book (from page 139-283) is spent on teaching how to work with flowers and tutorials. I love the lesson on "How to make a formal linear centerpiece" with different peonies (pg. 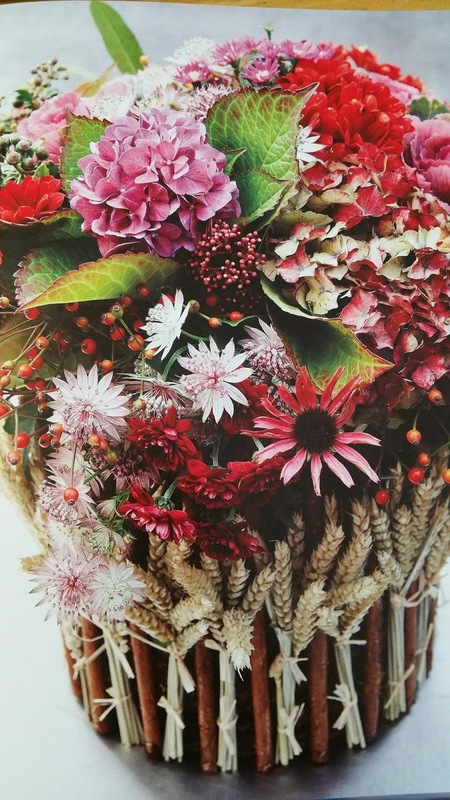 164-165), or the "Rustic bouquet in a decorated basket" (pg. 202-205). Another favorite is the "Large-scale pedestal" lesson, think 5 foot arrangement in a 2 foot urn (pg. 236-237). Even though I don't think I will ever need an arrangement that big, it's good to have a reference of how many flowers it might take! How to make a Formal Linear Centerpiece, p.164-165. 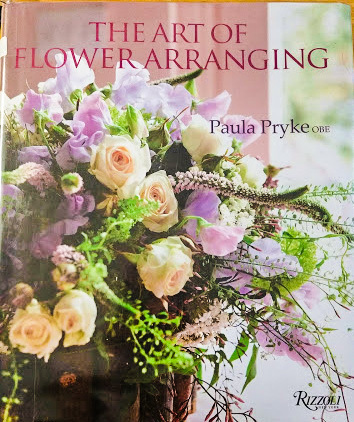 The awesome pictures, the flower color palettes, and the flower arranging lessons make me want this book for my collection. 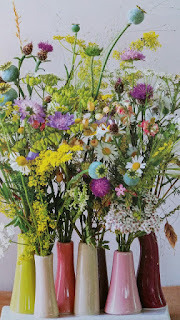 If you are wanting to learn about flower arranging, you will love this book too! Let me know what you think about this book in the comments. Do you love it as much as I do?